Hyderabad-based playback singer L.V. 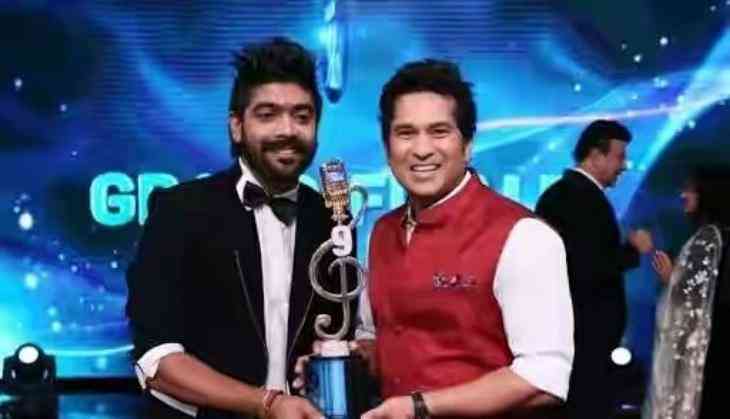 Revanth was on Sunday night declared to be the winner of the season of the singing reality show 'Indian Idol'. 26-year-old Revanth, has won a prize money of Rs. 25 lakh and a contract with Universal Music. Master Blaster Sachin Tendulkar handed over the trophy to Revanth with other judges Anu Malik, Farah Khan and Sonu Nigam in attendance. The season finale witnessed three contestants - L.V. Revanth, Khuda Baksh and PVNS Rohit - battle it out to win the title of Indian Idol. The first runners-up was Khuda Baksh, the second runners-up was PVNS Rohit. Revanth had a terrific journey on the show by singing songs like 'Moh Moh Ke Dhaage' from 'Dum Laga Ke Haisha' for the semi-finals. He hails from Vishakhapatanam and is not a new comer to the world of singing as he had lent his voice to one of the biggest projects including the regional version of 'Baahubali'. His song 'Manohari' also made him win the IIFA Utsavam award.